Davy and Peter returned to Australia in early 1987 for another successful tour. Micky stayed in the United States during this time period to assist in the negotiations for a brand new Monkees album and feature film. 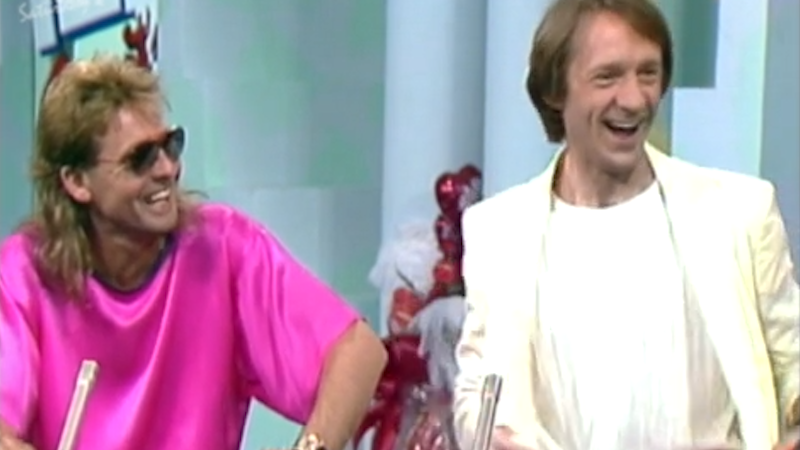 The duo made many television appearances on Australian TV to promote the concerts. Peter added three non-Monkees songs to the set, including “Higher and Higher,” "Tulane," and “MGBGT,” the latter which had been performed during the 1986 20th Anniversary concerts in North America. Peter also sang “Since You Went Away,” which eventually was released on The Monkees’ Pool It! album. Davy added three songs to the set from what would become his 1988 solo album, Incredible: “After Your Heart,” “Hippy Hippy Shake,” and the title track. The backing band consisted of most of the musicians from the 1986 North American tour, with a few local players added in as well. Before leaving for Australia, Davy and Peter appeared with Micky on the live broadcast of the American Music Awards in late January.